Skiing, boarding and other Winter sports are about to get their quadrennial boost as the world tunes into the PyeongChang Olympics. In some parts of the world it will help grow the sport. I doubt that will be true in the U.S., where for 35 years the total number of annual U.S. skier/boarder visits has remained relatively flat. Add in other factors like climate change, ticket cost, paying off student loans and mortgages, and robust competition for our leisure time, and things don’t look good for skiing’s future. 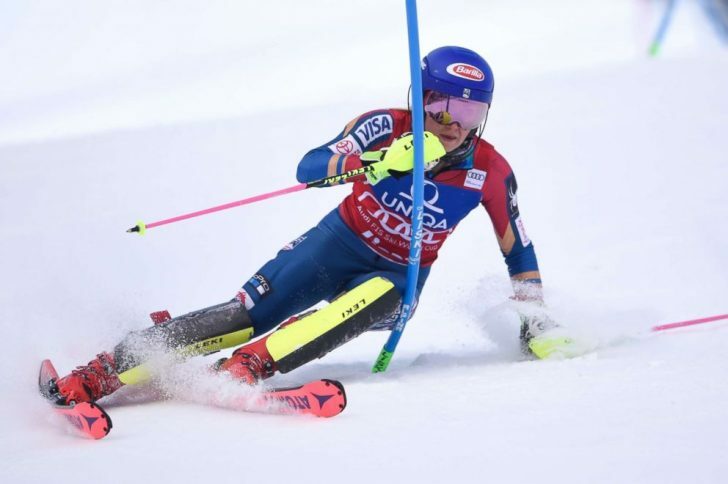 Skiing no longer holds the same cultural status, except, perhaps, for the spectacle of the Winter Olympics when mass marketers pay the sport’s superstars big bucks to jump on their brandwagons. I hope this Olympics gives the sport a boost in the U.S. and worldwide. If would be nice to know that enough newcomers are at least making up for those who leave the sport. It also would be nice if winters returned (at least in this part of the West) with greater force and more cold. Whether or not that happens, tune in to the Games and enjoy them. Better yet, push the record button, leave the house, get to the mountain, and ski! In December we asked for suggestions for our first patch. Several ideas were submitted, resulting in the patch pictured here. The closest suggestion came from Pavel Lia .We like it so much that we also had neat small stickers made. 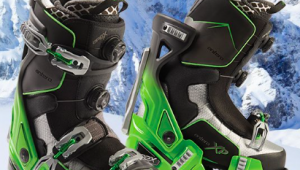 They’re perfect for helmets and skis. We’ll be making them available in the next few weeks. 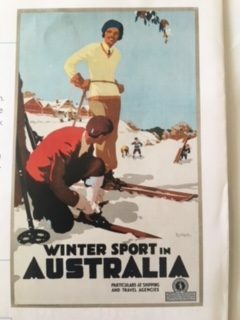 Your Vintage Ski Poster May be Valuable. New York’s Swann Auction Galleries produced high prices for vintage ski posters during it’s February poster auction. Top sellers included Palace Hotel St. Moritz, Zurich, 1920 ($11,400); Union Pacific / Sun Valley Idaho, circa 1940 ( record $10,800); Sun Valley / “Round House” on Baldy Mountain, 1940, (record $7,800), and several Dartmouth Winter Carnival images. You and Friends in Your Own TV Show? A reality TV casting producer in NY is seeking a group of 70+ friends who are “sassy senior citizens” for a new reality TV show. The company’s notice states “Think Real Housewives but slightly older and more fabulous. They’re looking for “loud, over-the-top personalities,” preferably in warm-weather locations. To throw hats in the ring email [email protected] with bios/pics. Squaw Valley/Alpine Meadows expects to be using 100% renewable energy by December. The resort is partnering with Liberty Utilities and Tesla on state-of-the-art battery storage for storage of surplus energy. I only wish the same could be said for the major European resorts that seem to get more and more crowded each year – even in the quite or low season. 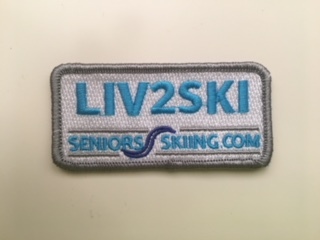 I’m not new to skiing, but am new to Senior Skiing, and am just now getting in the groove and reading the op-ed’s and news from the organization. 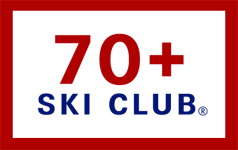 I have been spoiled as a senior skier and, being retired, I can go mid-week and ski without the crowds. I have been going to Europe to ski for a week each year for the past 10 years. I have found that skiing in Europe is more of a common person’s sport than here in the US. The general lift prices are cheaper and the resorts really cater to youth skiing, thereby ensuring their future patrons in skiing. Seniors are very well treated in France, Austria, and Italy.